In shipping, the most important aspect of the business is to ensure the package arrives to its destination in perfect condition. Almost every company that ship product to distributors, retailers or directly to the consumer they use folding cardboard boxes. 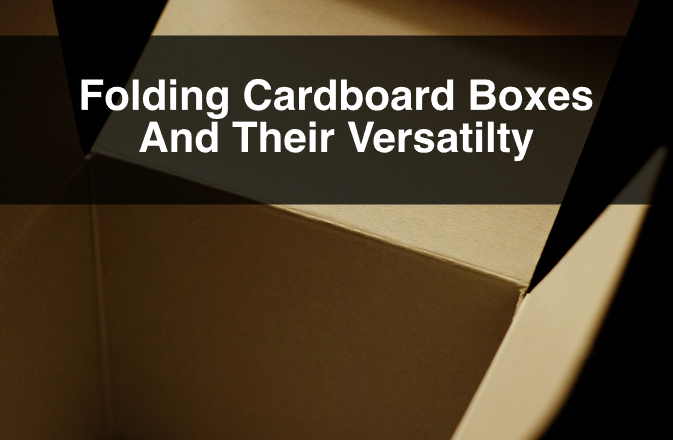 In this post we will discuss the versatility of these boxes and we will give pointers on things to consider when ordering the right cardboard folding box to fit your business needs. Also known as shipping boxes and RSC boxes, these boxes are the most common box used in shipping. They come to the customer in bundles and are flattened with groves for folding them in place. This allow the packaging company to send large quantities to their customers and making them easy to store. They are commonly made out of corrugated cardboard which is a recyclable material and in some cases are made of recycled materials, making them an environmentally cautious option. Additionally to product shipping, these boxes can be a great tool for brand awareness if marketing elements are printed on the boxes. Corrugated cardboard is a material that allows ink to transfer on to it with ease. By placing a logo, graphics, or some copy in a shipping box, you are optimizing its use. Now not only is it protecting your product during shipping, it is also relaying a message to its recipient. Depending on your shipment there are many considerations when it comes to choosing the perfect box. Things to consider include the thickness and sturdiness of the cardboard. If you are transporting heavy items, it is important to ensure that the actual box can withstand the weight of the material. The size is another consideration to keep in mind. Depending on the amount of product you want to ship, the size of the box will help optimize shipping space. At ibox packaging we have stock boxes, and custom boxes to ensure that we meet any customer needs. A thing to note is the right quantity of boxes to order. This depends entirely on the nature of the business. The important thing for any business is to have available enough boxes to meet the demand of the product being shipped out. For more information, or questions about custom or stock folding cardboard boxes please contact us. Also, sign up to our newsletter for more information, company updates, price specials, and more.